Do I need to pay for my child’s medical treatment at the Shriners Children’s Hospital? No, medical care at the Shriners Children’s Hospitals is provided based on medical need, not a family’s ability to pay. 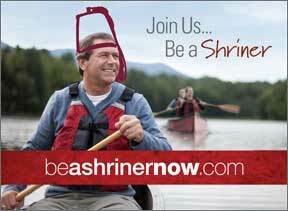 Are all Shriners Children’s Hospitals located in the United States? Are there any located in Canada? Most of the Shriners Children’s Hospitals are located in the United States. Due to the proximity to BC the vast majority of our BC & Yukon patients are treated at either the Portland or Spokane Shriners Children’s Hospitals. We also have a Shriners Children’s Hospital in Montreal so if you are unable to travel in the US and/or your child’s condition is best treated at that hospital, we will arrange for transportation to Montreal. What do I need to do to access either Shriners Hospitals or Child Care Transportation? BC and Yukon families are invited to call for an assessment appointment. A physician’s referral is not necessary. Please phone our New Patient Referral Coordinators directly at either our Shriners Hospitals in Portland 1-800-241-2155 or Spokane 1-800-895-5951 to arrange an assessment appointment. We provide service for children ages infant to 19. Where can I stay if my child is at one of the Shriners hospitals? Are valid Canadian passports required if we travel to the Shriners hospitals in the USA? If travelling by air, valid passports are required for all Canadian citizens regardless of age. Children 15 years and under travelling with a parent may present either a Canadian birth certificate or a Canadian citizenship card. In addition, if only one parent is travelling with the child, then it may be necessary for that parent to carry a letter from a spouse or other legal authority giving permission for you to take your child for treatment out of BC / Yukon into the USA and/or any necessary custody documentation. How long is the drive from Vancouver to Portland? The drive from Vancouver to Portland takes approximately 5 1/2 to 6 1/2 hours depending upon traffic and weather conditions. How long is the drive to the Shriners Hospital in Spokane? Where do we eat if we are at one of the Shriner’s hospitals? There are cafeterias in the hospitals and restaurants are located in, or adjacent to, all hotels booked by BC & Yukon Shriners. Do I need to bring US dollars for use during the trip? Yes, please remember to bring US dollars with you to pay for your meals and other incidental expenses while you are in the US. While you can certainly use credit cards for many purchases there are some places, such as the cafeteria at the Spokane hospital, that only accept cash. Do I need to buy travel medical insurance for our trip to the US? It is strongly recommended that you purchase travel medical insurance for your trip to the US to provide you with medical coverage for any unexpected emergencies that may occur during your trip.